British Hen Welfare Day is all about celebrating and raising awareness of our feathered friends over a cuppa and a slice of free range cake. The idea is to bake or buy some treats to share with friends, family, neighbours or colleagues in exchange for a donation for the BHWT. The money you raise will help save more hens from slaughter, as well as fund our campaigning work which educates the public about hen welfare. 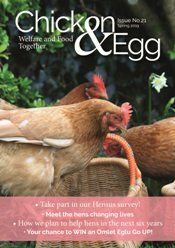 The first British Hen Welfare Day took place on Friday, 23 September 2016. It was all about people coming together to help make hens happier and also launched our fundraising appeal to help build a new re-homing and education centre here at Hen Central. Our supporters, volunteers and hen lovers got involved as 114 Free Range Fridays were held across the country. 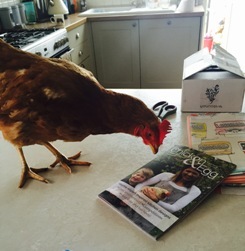 They helped spread the word about the work the BHWT does and raised money to help more hens at the same time. From feather-light sponges to sumptuous chocolate cake, chunky muffins to silky cheesecakes – we asked you to bake, buy, borrow and beg to get your hands on some tasty treats to share with friends and raise funds. We were so pleased with the effort put in by our supporters and the success we’ve had! This year’s event will take place on Friday, 28 September 2018.